Are the 501a Doctors w Glen Rose Medical Center Taking Salary Cuts and Insurance Benefits Cuts? In all of the discussions about how Glen Rose Medical Center employees are having hours cut, or being asked to go home if not busy, and now, getting insurance and benefits cut, I have heard nothing explicitly about the doctors(Carpenter, Hutchison, Davis, Vacek, etc) having to do the same. The 501a (Glen Rose Healthcare Inc) doctors are being paid by taxpayers through the Somervell County Hospital Board budget. It's my understanding that they have quite excellent insurance and this has not changed. If true, why not? The doctors are also employees of the hospital. If it is true that the doctors have different insurance and/or benefits, have they also been changed to the insurance that the employees now use as of July 1, 2016? Here, from a video of Somervell County Hospital District board meeting from August 2015, are the salaries of the doctors. 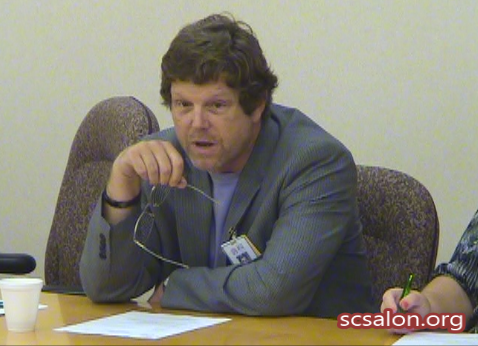 Ray Reynolds, despite this being an open meeting for the public, wanted to keep this information secret. Going to use several doctors as examples, following. Dr Hutchison makes a huge salary and offices in a newly remodeled office. Dr Carpenter's office is in gated, private golfing community Pecan Plantation, in Pecan Family Medical Center, which is not in Somervell County's hospital district, but in Hood County's, which residents pay zero hospital district tax. The previous hospital district board voted, even though knowing what was happening with Luminant, to take out of a loan to remodel the PFMC. Dr Vacek, for example, has $200,000 listed as his *base* salary. And here are the doctor's contracts. Vacek's contract also lists his base salary as $200,000. Vacek, when he came to work here, got two bonuses. From the 6/30/2016 meeting. I still find it extremely illegal and unethical for Dr Vacek, as an employee of the district, to serve on the hospital board. At first glance, anyone can enjoy the comments Dr Vacek makes regarding the GRMC employees. However, you do hear that it's a "Me v You" framing. Again, Vacek is also an employee of the district. Has he taken a pay cut? Has his insurance changed to be the same as the other employees? Perhaps his largesse includes donating a large part of his salary to the hospital in lieu of a full paycheck? If Dr Vacek or any other doctor has, in solidarity with the other employees who are taking cuts, also done so, please feel free to weigh in, as a comment, below.